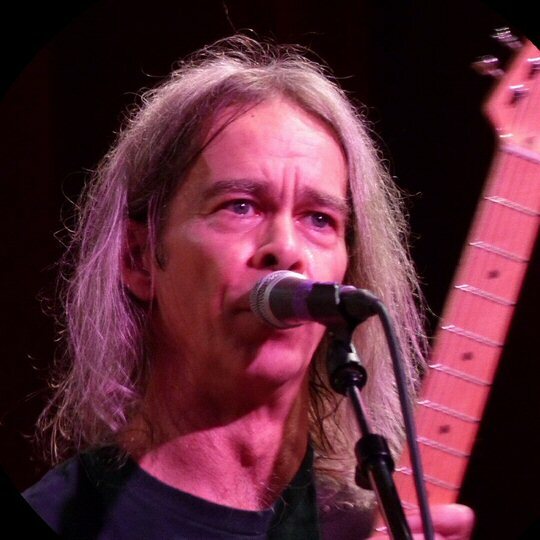 Tim Reynolds is a Grammy-nominated multi-instrumentalist known both for his solo work in addition to his role as lead guitarist for the Dave Matthews Band. 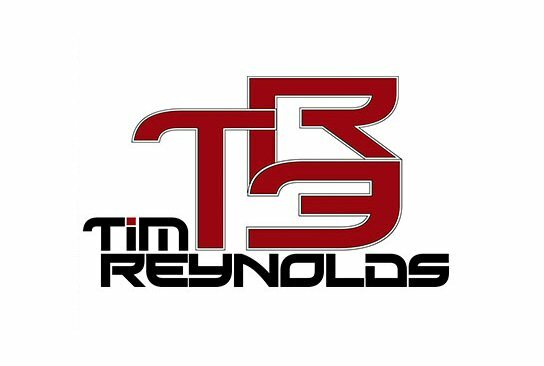 Reynolds is out on the road early 2016 getting in numerous dates with his experimental rock combo TR3 before the much anticipated summer jaunt by the DMB. On Tuesday, February 16, 2016 the talented trio landed at the City Winery in Nashville with an electrifying and exhilarating two-hour set of exploratory songs. 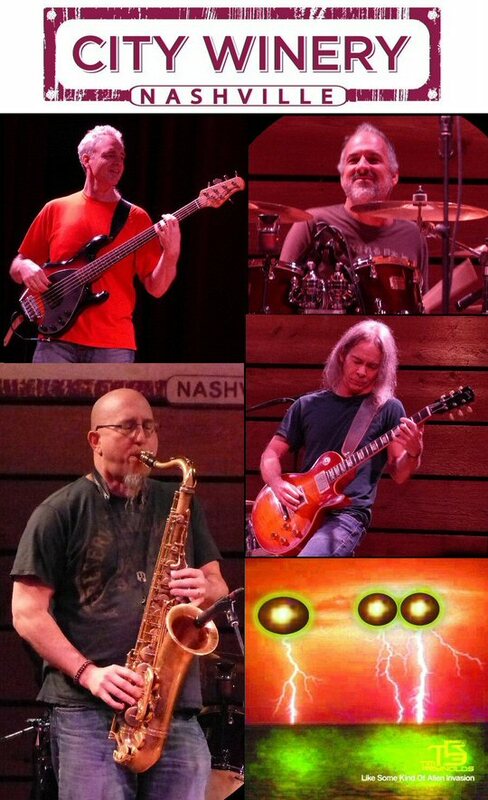 Tim Reynolds and TR3 Invade Music City with a Sonic Assault. Tim Reynolds is adept and skilled on pretty acoustic numbers. He can play straight forward rock and improvisational jamming. But, he butters his bread on experimental other-worldly instrumentals as some of his previous album titles such as Astral Projection, Parallel Universe and Live from SPACE and Beyond would indicate. That trend continues on his latest release Like Some Kind of Alien Invasion and a number of the new tracks were featured on this night in Music City. The atmosphere was set inside the elegant winery with seated tables lit by candlelight positioned on the main floor and balcony. Conversation was kept to a minimum as Tim said “Good Evening” before a band-mate informed the crowd that tonight’s show was streaming live around the world on 360 Camera. Tim and TR3 opened their eclectic night of music with a tight and jammy romp through “Hip-Hug’r” followed by the aurally aggressive “Non-Violent Approach”. “Wild Country” was next finding TR3 delivering a crowd-pleasing hook heavy number that was the closest the band came to pouring out any pop music at the City Winery. Reynolds approached his live set in Nashville with a variety of electric guitars and electronic effects but he did take a brief detour to unveil a few acoustic numbers including the beatific and believable “Everything I Believe In” from the new album. Tim Reynolds is a solo artist and a member of DMB. 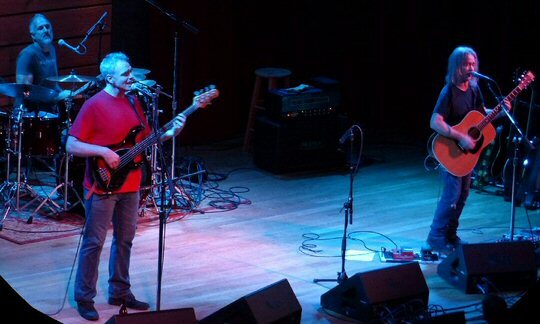 Right around mid-show Tim Reynolds (guitars, vocals); Mick Vaughn (bass, vocals); and Dan Martier (drums, vocals) were joined onstage by sax player extraordinaire Jeff Coffin from the Dave Matthews Band. The quartet proceeded to deliver an appropriately intoxicating version of Reynold’s biting “Indoctrinate”. Jeff exited and the triad next moved into a complex “Industrial Complex” before manufacturing a few more exciting moments in Music City. Tim’s fine fretwork featured a lavish display of frenetic runs up and down the neck filled with potent power. At times the trio would meander into more jazzy territory but they always found their way back to the rock fold. Most of the evening’s music was instrumental but there were a few times that Tim’s distinctive vocals made an appearance, too. “Wow, it’s so quiet in here,” Reynolds remarked regarding the respectful interludes between tunes before going on to say he couldn’t really hear anyway due to his inner monitors, then adding, “Here’s a love song for you”. Tim Reynolds at the City Winery in Nashville. “Chicago” was steeped in an authentic blues groove. “In The Zone” was a testimony to the fact that Tim and TR3 were in the zone for a solid two hours in Nashville. A few times they explored rock classics covering Jethro Tull’s “Aqualung” and “Hocus Pocus” by Focus putting their own other-worldly spin on these well loved rock staples. “I C U” is the first cut on TR3’s most recent album and it served to close out a solid night of music in Nashville. 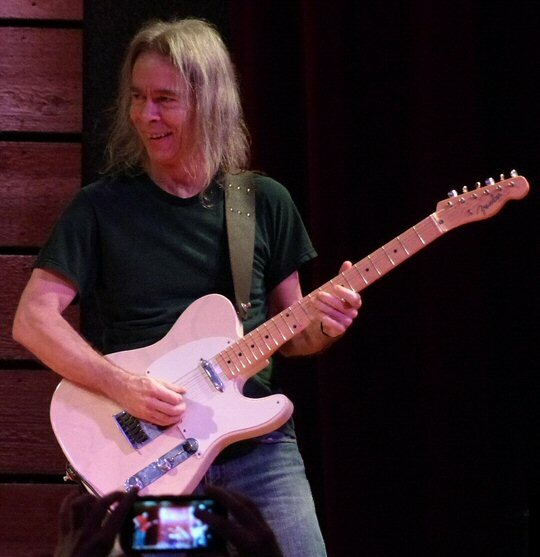 Tim Reynolds and TR3 presented an intriguing set of far-out jams at the Nashville City Winery at 609 Lafayette Street. It is an up-scale venue that serves fine food, music and wine. It continues to host an eclectic range of artists such as TR3. Upcoming events include John Mayall, Donna the Buffalo, Sam Palladio, Black Violin and more.